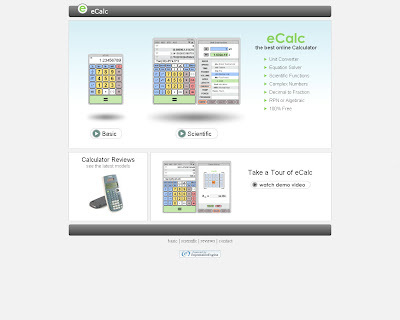 If you need a scientific calculator for your working or studying but didn’t bring the calculator at that time,how to you do ?It does not matter, here a free online version calculator – ecalc.com, you do not have to download,just use your web browser.It is powerful, operation is simple, even have several units conversion functions. 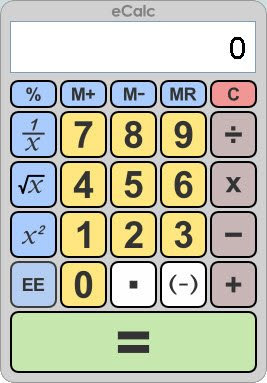 I believe that after you used it,you will ignore the Windows built-in “calculator” application. There are two online calculator for your chosen ( basic and Scientific ). Functions are quite simple ,almost same as the calculators that sold in the market. 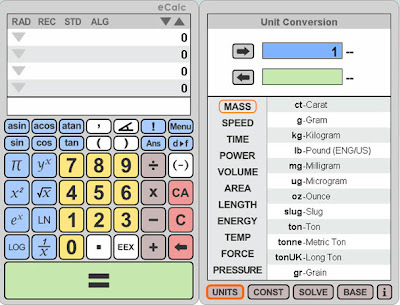 Around the screen is divided into two sides, the left is the calculator, the right is unit, constant, algebra conversion. 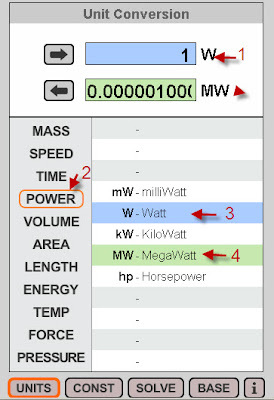 Just enter the value in the –> column,then select the menu ( speed,power,volume…) and the unit,after that select units to be converted. 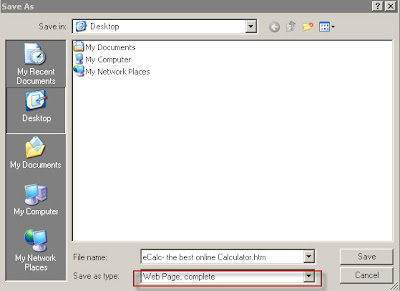 If you want to run the eCalc without internet connection,you can select ‘File’ from your web browser,then select ‘save page as ‘,save in ‘web page,complete‘ type. Then delete ads.htm and show_ads.js these two files,there will no any advertisement pop out to trouble you during using eCalc offline.